Hello everyone! I'm feeling so much better now (Thanks so much for the comments and the good wishes) and I'm getting back to work, slowly but with lots of ideas and projects in my mind. 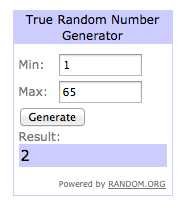 I have another giveaway for you. This time it's one that I'm sure all Frida Kahlo fans out there will treasure. It's November's Vogue Supplement: Frida Kahlo, Las apariencias engañan (Looks are deceiving). 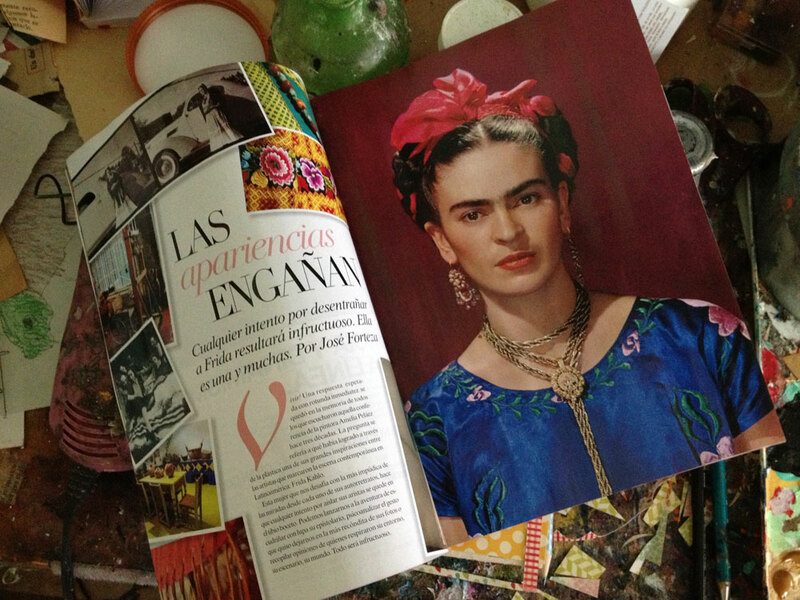 A magazine supplement dedicated uniquely and exclusively to the exposition of Frida's dresses, accessories and little treasures that will be shown at La Casa Azul very soon. (I'm dying to go!!!). For the ones who can read Spanish it's packed with information, but also If you don't, all the pictures are worth the supplement. 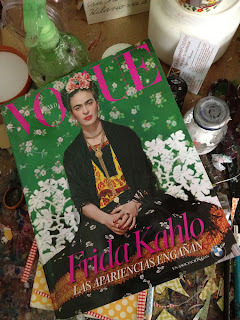 This exposition and magazine just sparked an idea: I'm going to be making Frida's dresses painting series. I want to have by the end of the year at least 12 painting with some of the dresses that will be shown in this exposition. What do you think? I can't wait to start! Oh an one more thing, the winner from the Life Book workshop is.... Olivia aka Eya!!!! Congratulations!!! Olivia, please contact me! I love her passion, her sheer will to survive. She made no excuses, and went all out, I love that. Frida was a strong, beautiful woman, I love her creativity and her honesty. I love her work...it came from her soul with no apologies. Anyway, I love Frida and incorporate her into much of my artwork. I love how she still painted and did her artwork, even through all the suffering she endured. She is so inspirational! Viva la Frida! I love her colorful world, love her strong and brave character. Frida was real....a real original. That is what I like about her...her honesty and uniqueness! I like her strength and boldness. Frida is a huge inspiration to me because of her perseverance. Through infidelity, painful operations, and miscarriages she kept painting. She never gave up on her life or her art. Whenever I feel there are obstacles in my way keeping me out of the studio, I think of Frida and what she overcame and I MAKE the time to create. Frida era una mujer interesante y especial durante su tiempo y todavía se queda así. Sería un placer tener la revista y no puedo esperar tus pinturas de los vestidos coloridos de esa mujer increíble. Gracias por la oportunidad. I admire her authenticity and, above all, the way she portrayed her life, wounds and dreams. One must be vary brave to do that. Frida Kahlo worked at a time in Mexico’s history when women artists were not well-known or accomplished. Because of her tenacity, courage, and steadfastness, she demonstrated that she could be an artist in her own right. Frida Kahlo paved the way for many other female artists, and now more women artists have been successful. Frida Kahlo's accomplishments as an artist were historically significant for this breakthrough for women. Thank you, Frida, for being there for us. Hi, I would love to win. thanks for the opportunity. She inspires me to follow my heart... Not go with trends, not care about what other people may think, stand for what you believe in, persevere, and to paint from the soul. She was so unique and way ahead of her time. Her emotions and art were so raw and breathtakingly wonderful - no wonder she still captivates people from around the world. ¡Que Viva Frida! frida paved the way not just for female artists but for hispanic female artists. she gave us someone to look up to and be proud of. she had no idea what a legend she would be for all of us!! Frida showed us all that art saves and art is like medicine to help us get through the difficulties in life with dignity and strength. Love her work and love yours too! I can't wait to see the dress collection. I admire how much she loved Diego.. I love her authenticity and perseverance. Hi! Oh my goodness! I'm an artist and have always loved Frida. BUT I also suffer from Fibromyalgia. Guess who else did? Frida! She was one of the first diagnosed cases. She's my hero! I even go to an FM clinic in Portland that is named after her! Can you believe my good fortune in being referred there for care? And guess what? It's called the Frida Center for Fibromyalgia in honor of Frida! Danita, so glad you are doing better! Frida inspires me because of the passion she showed and her willingness to share her true self. I saw her impressive exhibit back in 2000, in La Jolla, CA . That was my 1st time to learn about her & see many of her works. I like everything about Frida! Thank you for letting one of us have that magazine! I Love Frida so much, she was a strong and beautiful woman! she gives me strangh and courage when I feel down. I loved that she was unique. 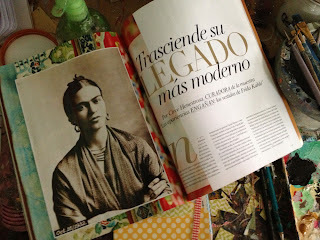 I love Frida, his style, his passion and history! It is beautiful that you are doing this give away. It is remarkable reading the comments.i am glad to be able to participate. She is such and inspiration, I love her passion! thank you for sharing and inspiring me too! This wouldst make my day! My year! Perhaps my life! You rock Danita! I love Frida. I love how she wasn't afraid to be herself and her style is so colorful and energetic. Even though I know she wasn't always feeling that way that is how I feel when I look at pictures of her. i love frida's determination to live her life regardless of her health issues, marriage issues and family issues. she was quite a woman and artist! Frida Kahlo is wan an amazing woman and I love her creativity and love towards life. I love her love for herself and others. Her beauty was inside and out and her world was filled with powerful words she put into practice. She was an artist at heart. Her passion for art was what capture my attention about her. I love that even through all she suffered she never gave up! Viva La Frida! I love that Frida was such a powerful woman in a mostly male-dominated profession. She was not afraid to "bare her soul" in her work. Thanks for the giveaway, Danita, and for your beautiful art! Frida is passion, courage, strength, sensuality and determination. She is the yearning in every woman's soul to live fearlessly, love ferociously and leave no regrets. What's not to love Frida!? A strong woman in a time and culture when strong women were not always appreciated. And let's face it, the woman had STYLE. Oh, to win a magazine of Frida Kahlo would make my heart sing! Frida, my muse. Because of her, I continue to strive as a women artist in my own right! I love Frida's use of bold and vibrant colors. Her work showed her love for Mexico and freedom! I love her courage and her strength and her loyalty to what she believed in. Frida was/is amazing! She was able to live her life exactly as she wanted. We should all take a lesson from that. I honestly don't know how she dealt with all the pain she must've felt both emotionally and physically. Danita, thank you for this opportunity. I admire Frida's great talent. She is inspiring having had suffered throughout most of her adult life and she did not give up what she loved most - painting. Sue C.
I think if you are creative there is a little bit of Frida everywhere, I take photos of kids and at my last shoot this was my little Frida http://bit.ly/UrlQGz. I think her life and her work appeals such a deep level. Querido Danita Art, Frida Kahlo, la artista mexicana en primer lugar, demostró que los artistas mujer puede ser artista por derecho propio. A causa de ella, he empujado mi arte a los límites y seguir creciendo. Ella es mi musa e inspiración. A causa de ella, yo sé que puedo expresar mi arte en cualquiera de sus formas. A pesar de que ya no está con nosotros, su energía sigue fluyendo animar a otros para que ellos también puedan expresarse en el arte de miedo.